*Meticulously Maintained, ?Move In Ready? 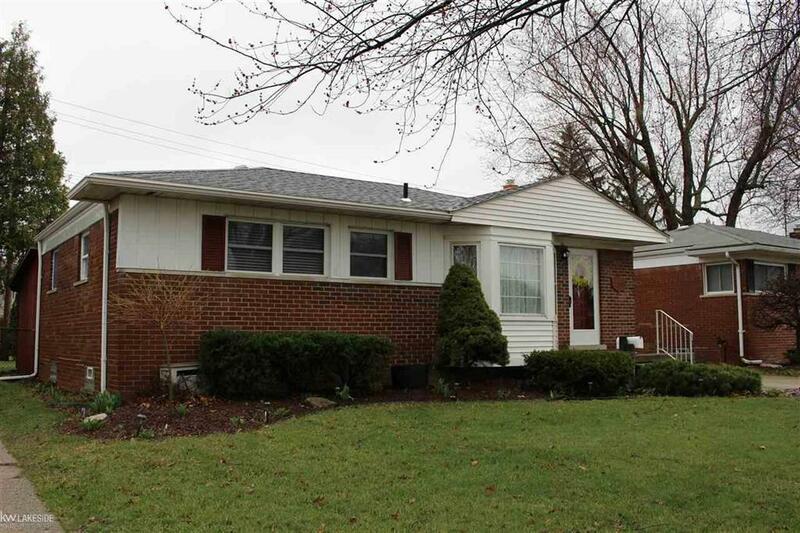 Brick Ranch home offers 3 Bedrooms, 1,270 sq ft, and loads of updates! Kitchen has newer cabinets, Granite counter tops, New hardwood flooring and ALL kitchen appliances. Spacious living room w/ Bay Picture Window, cozy dining room and newer carpet. Huge 28 x 12 family room w/ beautiful brick-front gas fireplace and hearth. Finished Basement with Full bath, separate laundry, glass block windows and tons of storage. Nice Backyard with Deck and Fenced Yard, Over-sized Detached 2.5 Car Garage. Tons of Updates include NEW Flooring in Kitchen and Bedrooms, Vinyl Windows, Ceiling Fans, Electrical & Roof, and Freshly Painted. New Furnace & Central Air in 2019. Just minutes away from Veterans Memorial Park and Lac St. Claire Harbor. Include this one on your viewing list!! *Curtains in Family Rm & Living Rm are excluded from sale.